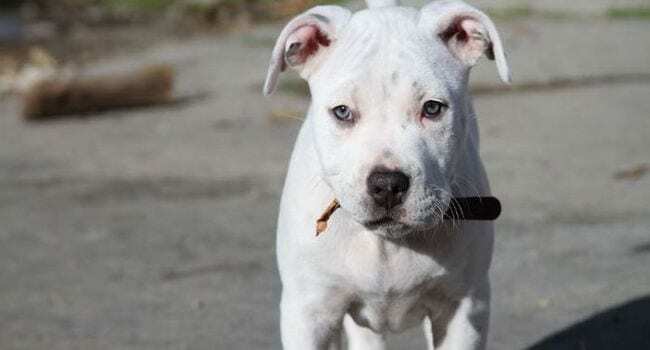 The white pitbull is one of the most popular pitbull colors that people look for, and when you combine this gorgeous coat color with a pitbull’s personality, you get a winning combination. Since a dog is more than the coat color, you’ll want to know everything you can about this dog before you start your search for your own. We’re going to cover the dog’s history, breed characteristics, personality, behavior, training, health, and much more. This will help you understand exactly what you’re in for when you add this type of dog to your family, and it’ll help you decide if this dog would be a good fit for your family or not. Did you know that this dog breed isn’t one specific breed? Instead, this breed is a mixture of several different dog breeds including the American bulldog, American pitbull terriers, American bullies, and Staffordshire terriers. When you originally said “pitbull” or “pit,” you were technically using it as a general term for an entire group of dogs rather than a breed-specific name. Today, this is a slang term or a nickname used to reference the American Pit Bull Terrier. This changed in 1898 when the United Kennel Club (UKC) officially recognized the American Pit Bull Terrier as a breed, and the American Kennel Club (AKC) followed suit in the early 1930s. Over time, the American Pit Bull Terriers got shortened to just using “pitbull” to reference this breed. These dogs were bred from Old English Bulldogs, and they very popular throughout Europe in the 1800s as a bull baiting and blood sport breed. This shifted to dog fighting favorites when the UK made blood sports illegal, and this breed eventually made it to the United States. When this dog breed came to the United States, it quickly became a family dog in the 1920s and 1930s, and there are dozens of photographs showing this breed alongside children. They also had prominent roles in war activities, and they were even featured on war posters and also in magazines that praised this breed. Unfortunately, this slowly began to change as dog fighting became a popular sport and this dog once again found itself as a popular fighting breed. The media has also played a role in portraying this breed in a negative light as a ferocious and vicious dog that should be avoided because it’s unpredictable and dangerous. Their breeding plays a lot into their disposition and temperament because you can breed for more aggressive traits and train them to be generally more aggressive to people and other animals for fighting purposes. However, if you breed and train them correctly, this breed is usually loyal, protective, and loving when it comes to its human or family. This breed is generally a stocky, solid, medium-built dog that has a short coat and very well defined muscles. This build makes them very athletic and powerful, and their body lengths are a little longer than their tails. When you measure this dog’s front legs from the elbow to the ground, you’ll get a length that is approximately one-half of the dog’s wither height. You’ll notice that these dogs have a medium length head with a very broad skull and a deep muzzle with medium or small ears that are set high in the dog’s head. They have a broad chest and broad shoulders that should be very evenly muscled, and this tapers into a trim waist with muscled hindquarters. A healthy pitbull will have a good balance between muscle and weight that sits well on their frame and allows them to breathe easily when they’re pushing or pulling. You can find this breed in all different colors except merle, and they have a thick tail that is stocky at the base and tapers to a point. This breed also has slightly arched paw pads that are unique in the dog world. Generally, pits have shoulders that range in size from 19 to 24 inches wide, and they can have anywhere from 35 to 60 pounds of weight depending on the dog’s overall size. Males typically weight between 40 and 60 pounds while females are slightly smaller at 35 to 50 pounds. Their coats should be short and slightly wiry, and it should lay flat to the dog’s body and have a glossy sheen. As we mentioned, they come in every color except merle, and their eye colors range from brown and black to multicolor and red. The pitbull has a worldwide history of fighting, and this can lead people to believe that these dogs are very aggressive and unsuitable for family life. Unfortunately, this history still taints this breed’s image, and people fear that this breed is still extremely dangerous. 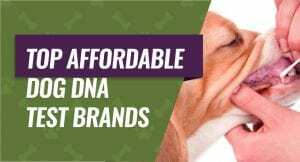 Today, this breed is typically bred to be loving, loyal, and excellent companion dogs by reputable breeders and people who understand the breed. They have some mildly aggressive traits and tendencies like any dog, but early and consistent training can help to get rid of these undesirable quirks. These dogs are very strong-willed, and this makes them more suitable for people or families who have had strong-willed dogs before because this dog won’t respect you unless you have a will that is just as strong as theirs. You’ll quickly find out that these dogs are very social animals who like to be around kids and your family as much as they can, and they like to join in any activities that you may do. In fact, this breed’s friendly personality could be viewed as a fault if you tend to use your dog as a guard dog unless you train it otherwise. This breed also tends to get along very well with other animals, and this is another reason that they’re considered good family pets. It’s also important to note that your dog may initially accept other animals in the house, but this doesn’t necessarily mean that they’ll co-exist forever. Sunlight Sensitivity – White pits tend to be sensitive to sunlight while regular pits are not. Additionally, white pits with red noses usually have a higher sunlight sensitivity. Price – The other significant difference between white pits and regular pits is the price tag. White pits tend to be more popular and in demand so you should expect to pay more for them than you would a different colored pit. There are four major things that you want to look for when you’re choosing your new pit puppy. 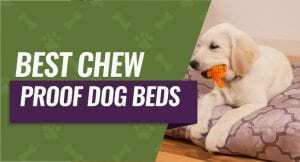 These things can help ensure that you get a healthy dog. Take a look at the area where the breeder keeps the puppies to ensure that it’s appropriate and clean. Check for toys, lighting, cleanliness, and check that the puppies are playing together well because this will give you a clue to how well they’re socialized. You want the puppies to be awake an active when you visit them because you’ll be able to get a good idea on their overall health. Your puppy shouldn’t be lethargic or weak because this can be signs that the puppy is sick, or it could be the runt of the litter and not getting enough nutrients. It’s a good idea to observe all of the puppies and watch for any timid or aggressive behavior. Ideally, your puppy should have bright eyes, clean and smooth fur, healthy skin, healthy weight, no trouble running or walking, and eager to eat their food. Watch any puppies for timid or shy behavior, and see how long it takes them to warm up to you. This isn’t necessarily a bad thing, but you want to be aware that you may have to spend more time working with them and socializing them to get an outgoing an happy puppy. Now that you know a little bit about their personality, we’ll move on to training your white pit. Socialization, consistency, and gentle reinforcement are the keys to success. Your pit doesn’t respond to harsh tone or body language like other dogs, so it’s important to watch these two things as your training progresses. Socialization: The goal with socialization is to get your pit exposed to men, women, children, animals, and a variety of situations so they’re used to them at an early age. You also want to get your dog used to being touched and handled and make sure that you keep everything positive while letting your dog adjust at a pace they’re comfortable with. Positive Reinforcement: This dog has a strong will that makes training tricky, but by constantly using positive reinforcement, they’ll learn what you want them to go along with what isn’t acceptable. Clicker training is one way to reinforce good behavior while staying positive and consistent. Obedience Training and Proofing: Your dog should know how to sit, stay, come, and know an emergency recall command that they’ll obey. Proofing is getting your dog to follow these commands in a variety of different social situations like at a dog park, around a crowd of people, and around more stressful situations. Canine Good Citizen Certification: The American Kennel Club offers a Canine Good Citizen Certification that allows pit owners or dog owners in general to have more proof that their dog is friendly and behaved. Your dog will have to demonstrate basic obedience, walk through a crowd, walk by other animals and not respond, and be petted by strangers while you have to sign the Responsible Pet Owners Pledge. Like any dog, the white pitbull has a few health problems that they’re prone to developing over the course of their lives. You want to catch them early or prevent them if you can to ensure that your dog lives a healthy and happy life. This particular dog is prone to being sensitive to sunlight due to their pale skin and their short white coat, and this can be a problem if you plan to have them outside a lot. You can reduce the chances of a reaction by giving them shaded areas to stay in during the hottest parts of the day, bringing them indoors, and making sure that they have a lot of water available. Your pit is a generally solid dog with good bone structure, but they’re prone to developing hip dysplasia as they age and their joints wear old. Keeping your pit at a healthy weight throughout their lives is one way to reduce the chances of your dog developing this, and you can also give them joint supplements. Pits are prone to developing cataracts, and cataracts are when the lens of your dog’s eye thickens and makes it hard for your dog to see. You can’t really prevent cataracts from happening because they’re typical as your dog ages, but you can have your dog’s vet remove them with a simple surgery. Many dogs have allergies that range from severe to mild, and their allergies can present as food allergies that cause digestive upset or external allergies that result in dandruff and itching. Switching your pit to a grain-free diet and giving them allergy medication can help manage their comfort levels. If you’re seriously considering getting a pit, there are a few key things that you want to keep in mind. These short tips can help reduce any surprises you may encounter if you’re new to the breed. Pits have athletic builds, and you’ll need to walk your dog at least once a day and set aside time for play. They don’t do well in small spaces or apartments, and they need room to run. This breed loves being around family, and they can quickly develop separation anxiety if you don’t pay enough attention to them. If they do, they may start showing destructive behavior in response to the anxiety. Isolating your dog for negative behavior problems can lead to worse problems later on in your dog’s life. 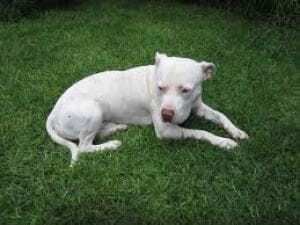 A white pitbull can be an excellent family pet that has a lot of desirable traits that make this dog a popular breed. You want to do your research to make sure that this dog is a good fit for your lifestyle, and you want to train your puppy so that it can live a healthy and happy life.